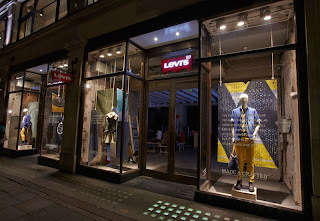 Those clever boys at Lucky Fox have been waving their magic over quite a few stores here in the West End lately and this one led by Levis is particularly interesting. The Good Things Take Time to Make campaign references the methods and craftsmanship which goes into producing the woven detail on their patterned T-shirt. 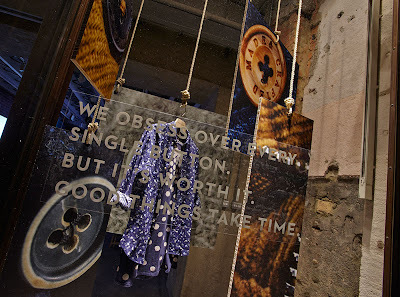 Anyway, do go in and take a closer look, we've heard that the limed oak and antique Brass fixtures within the interior are particularly delicious so we will be swinging by shortly to take a closer look.